I would like to thank Love Alchemy (https://selfreflectionhealing.wordpress.com/) for thinking of me and for nominating me. Love Alchemy writes about healing, dreaming and weaving the fabric of life. She describes her journey in overcoming pain so beautifully and inspiringly that you think- I can do this too. It is so nice to be awarded! Thank you. Reaching the sun has been my journey into writing starting at scratch with no experience. Each blog I write helps me think clearer and understand myself better. What did your past relationships teach you? I learned you will be hurt, trust will be broken, promises not kept. But that’s alright, you just have to keep moving and rely on God alone. Onthe other hand there are people who stay by your side despite it all. They are the ones star dust is made of. 2.What one thing do people always misunderstand about you? People seldom read my thoughts right, I’m good at hiding my true feelings. This leads to a lot of misunderstandings. Writing a good blog post! Performing a musical piece. Seeing the smile of a child who is getting well. 4.What is your favourite song? 5. Weird Question: What would you name your boat if you had one? If you already do, what did you name it? I’ll probably never have one, we live far away from any water body. But if I had one, I’d probably name it ‘Moses’. What inspired you to create a blog? And what keeps you writing? If you could be any other person for just a day, who would that be? What is the best advice that you have given to anyone? Did you have a turning point in life? If yes, what happened, and what made you change? Wierd question? What is your most favourite personality trait? Note: If this is duplication of a previous nomination for the same award, or, if you have an award free blog I apologize in advance. 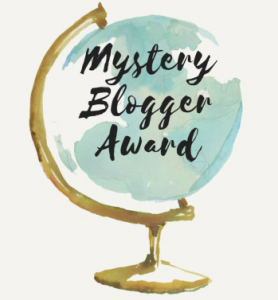 This entry was posted in Uncategorized and tagged about blogging, about me, mystery blogger award. Bookmark the permalink. Thank you for the nominations. 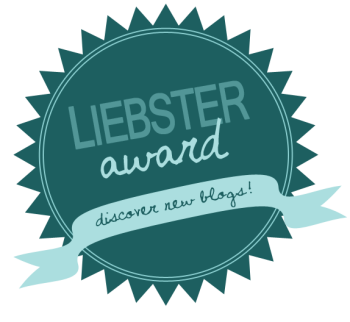 My blogs aren’t award free – I do love them! !, but my time is limited. I’ll get there at some point. Just wanted to say thank you for thinking of me. I appreciate it. God’s speed to you. Thank you SO much! I appreciate the nomination.